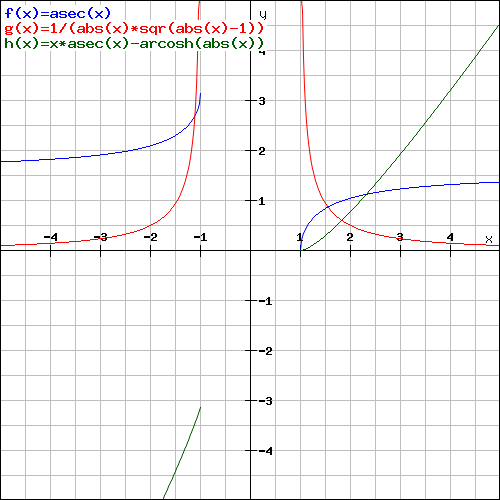 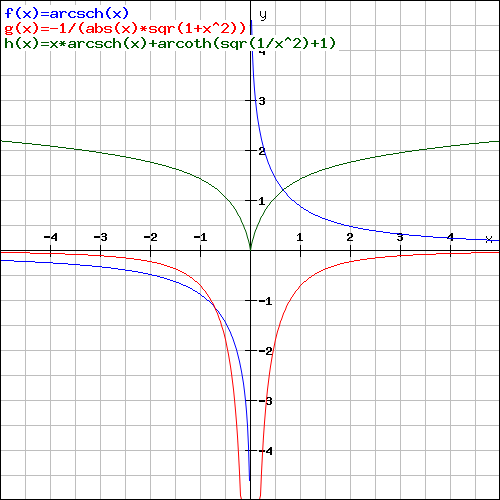 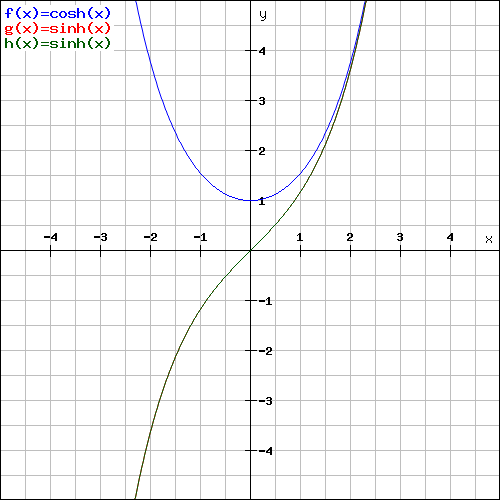 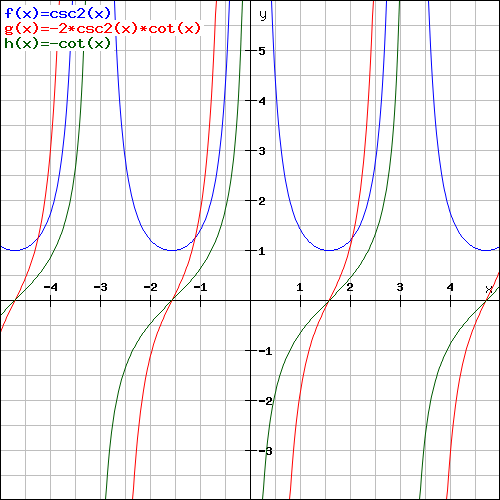 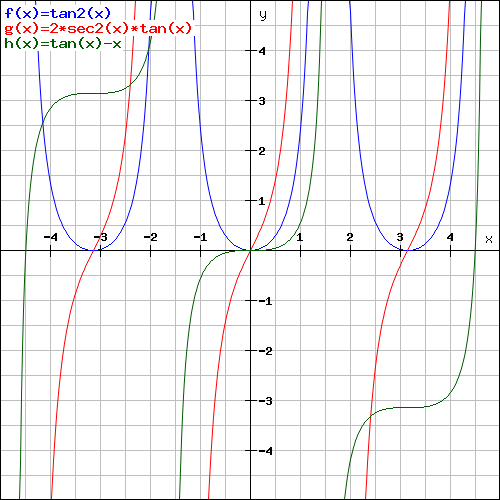 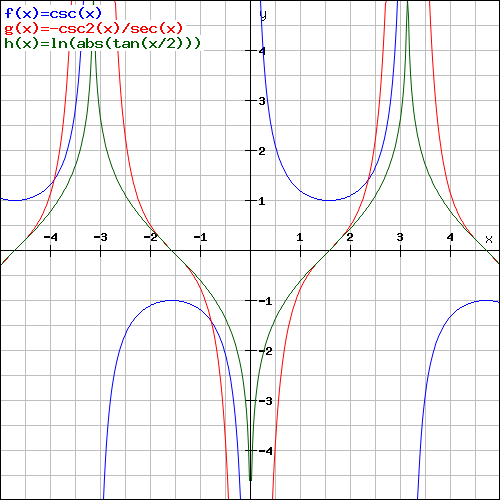 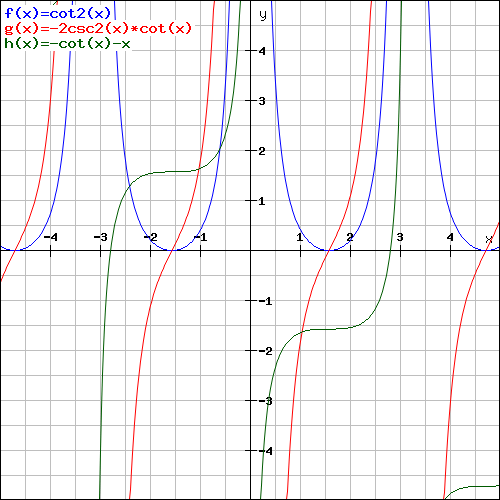 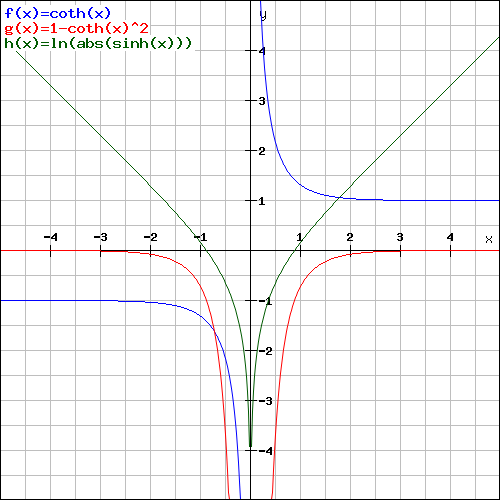 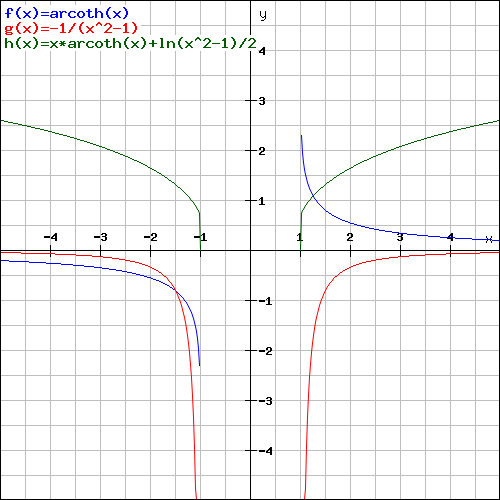 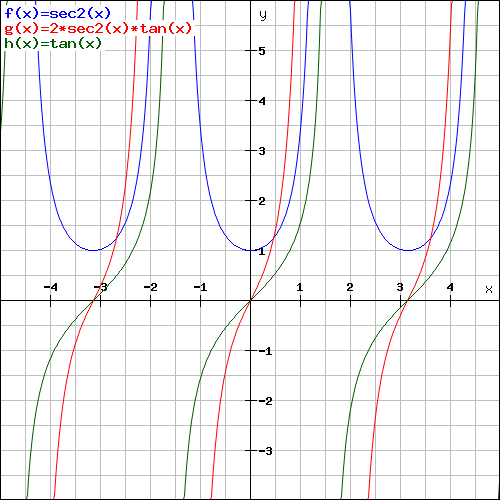 Formulas and graphs of derivatives and integrals of the trigonometric and hyperbolic functions. 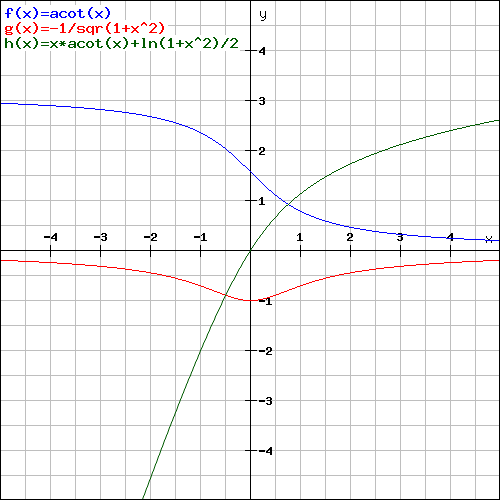 For the formulas of the integrals, the +C is omitted. 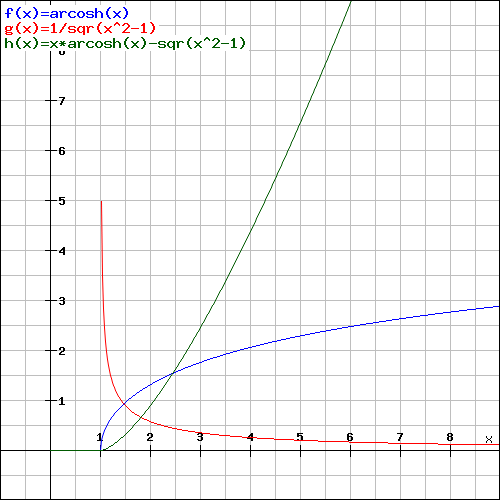 Clicking ↓ shows the according graph. 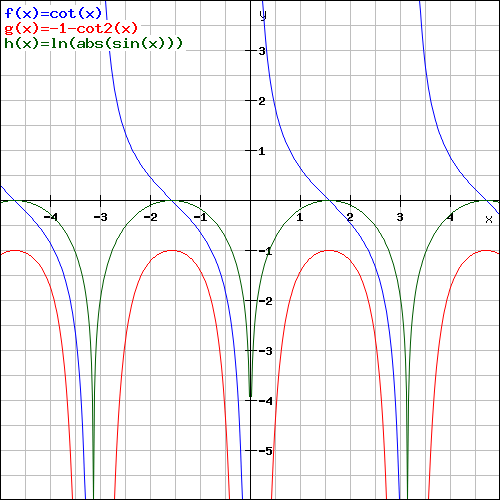 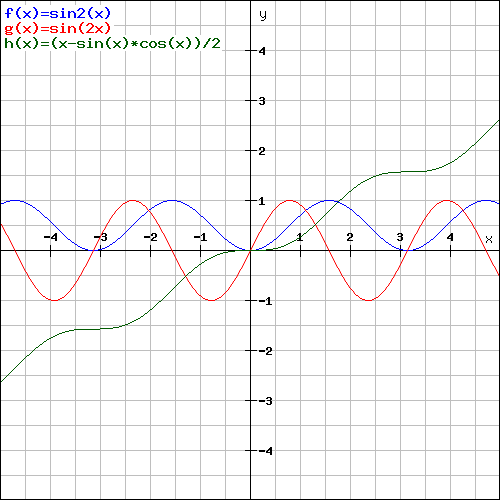 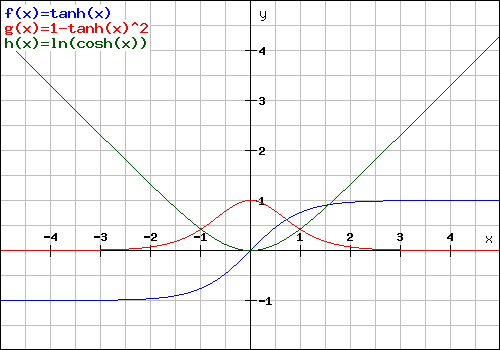 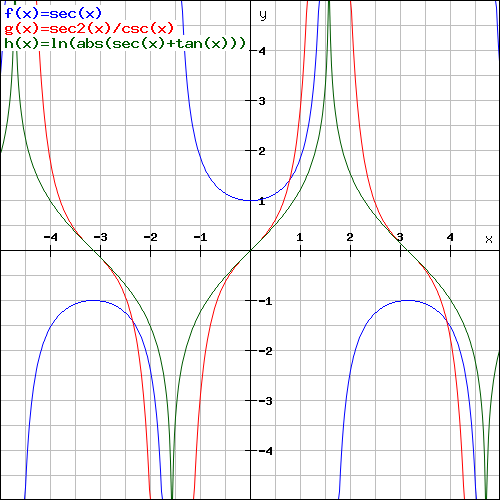 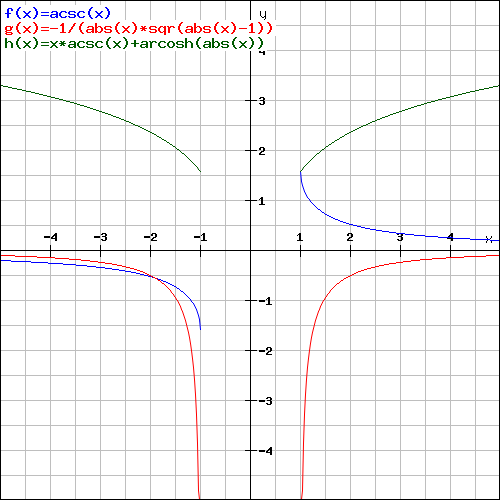 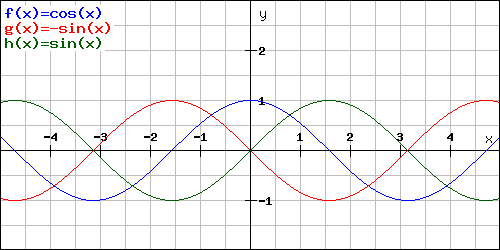 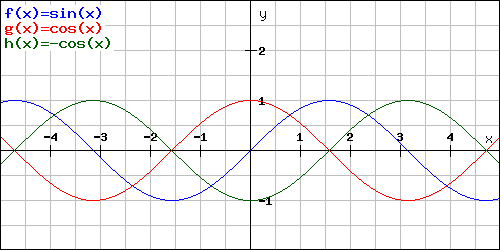 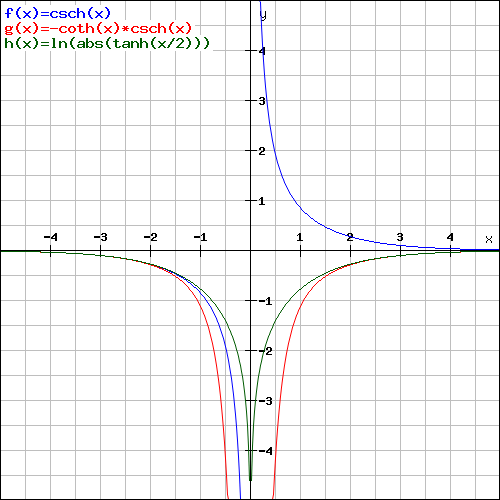 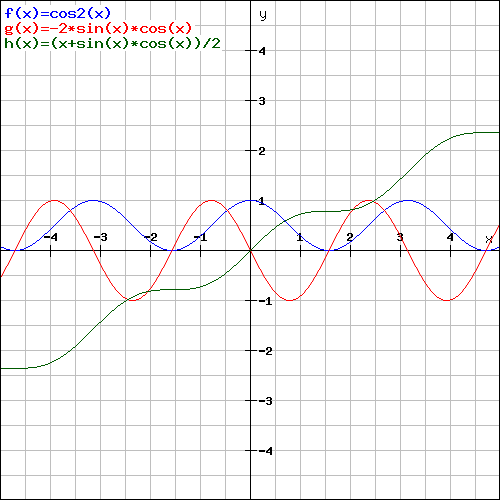 The graphs of function, derivative and integral of trigonometric and hyperbolic functions in one image each. 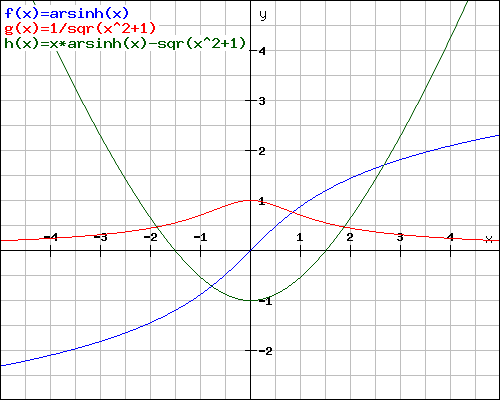 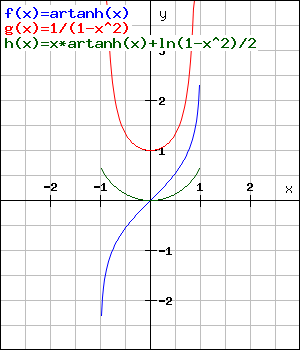 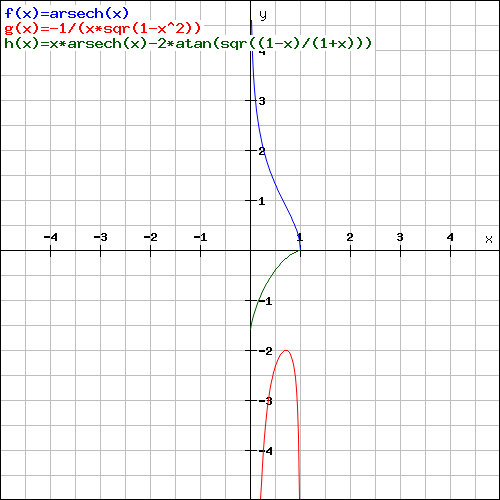 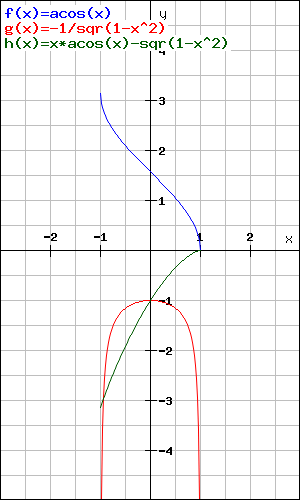 The graph of a function f is blue, that one of the derivative g is red and that of an integral h is green. 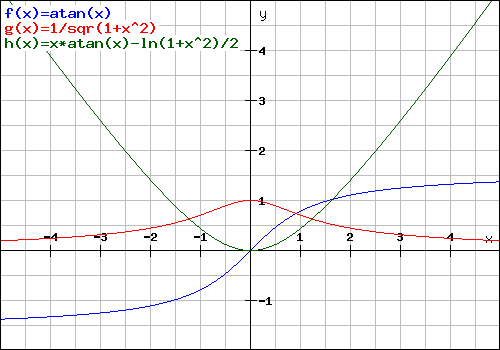 abs is the absolute value, sqr is the square root and ln is the natural logarithm. 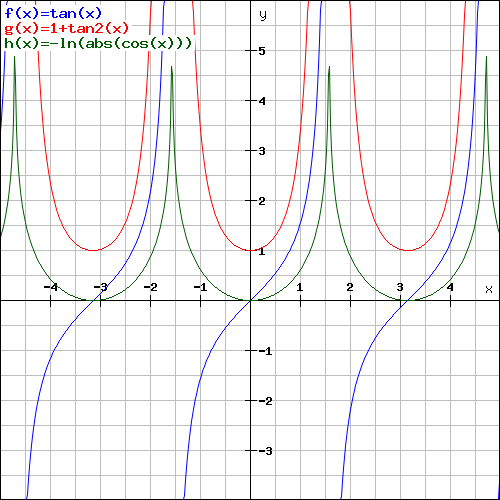 This page in German: Ableitung und Stammfunktion von trigonometrischen Funktionen und Hyperbelfunktionen. 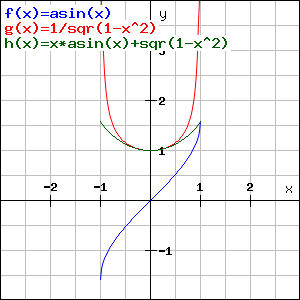 The function graphs were made with the Function Graph Plotter.